Weighing 7 kg and looking really cool! Meet Monti the traveller – the world’s most travelled Lion, as well as International Lion of Mystery. Originally from Serengeti, Tanzania he has already visited almost 100 countries in 5 continents. The mysterious lion enjoys discovering the world. His passport is quite enviable as he has truly been to some stunning location. More than that, he is a good photo blogger. You can find around 2 000 amazing photos of his trips all over the world. 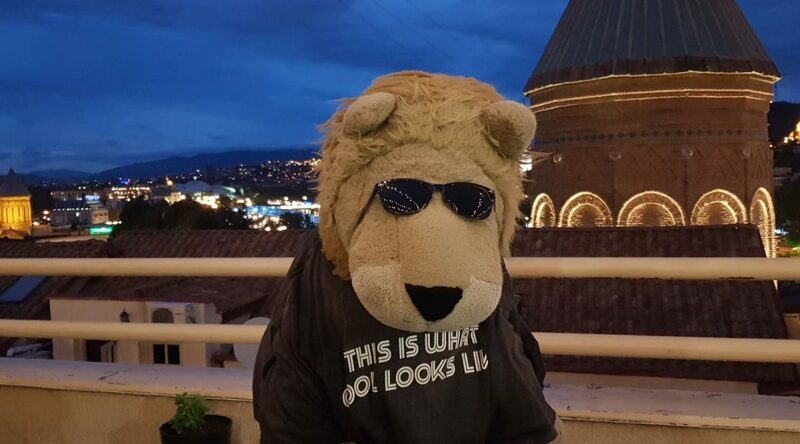 Envoy Hostel Tbilisi and Yerevan hosted the famous Lion on his 98th and 99th countries. We totally loved our mysterious and symbolic “guest”. Like most of the travellers and bloggers, Monti is active on Social Media. Follow his Flickr account and enjoy beautiful landscapes, picturesque places, famous architecture, as well as many little-known places worthy of your attention.